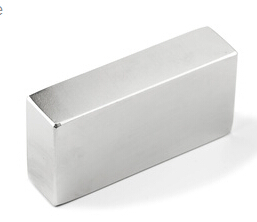 We are one of the most professional neodymium magnets manufacturer in China, always manufacture Ndfeb Magnets Block according to customers'requirements including shape,size & dimension, coating, magnetization direction...... Sintered block neodymium magnets are very strong magnets, are widely used in switch, separator & relay! The following sizes are some of our block neodymium magnets products, you can check your demand through the list below. Block neodymium magnets are one regular shape of Rare earth magnets and perment magnets. It is always manufactured via Cutting and grinding etc. Block neodymium magnets or Rectangle magnets have the following important factors such as, Length, Width, Thicknes, Round Edge etc. Our neodymium block magnets are mainly used in MRI equipment, liner motor, wind turbine and magnetic separator. With our advanced equipment like hydrogen decrepition frunance and continuous sintering furnace, we can mass produce high grade like N52, 45H, 42SH, 38UH etc. Also with our experience in material preparation and machining, we can produce very big block, such as 8″ length and 4″ width. Block neodymium magnets can be magnetized through thickness, or width, or length! The most common is thickness magnetized with N & S poles on 2 largest surfaces. 1/16" x 1/16" x 1/16"
1/8" x 1/8" x 1/16"
1/8" x 1/8" x 1/2"
3/16" x 3/16" x 1/32"
3/16" x 3/16" x 3/16"
1/4" x 1/8" x 1/32"
1/4" x 1/4" x 2"
5/16" x 5/16" x 5/16"
3/8" x 1/8" x 1/16"
7/16" x 7/16" x 7/16"
1/2" x 1/8" x 1/16"
1/2" x 1/2" x 2"
9/16" x 9/16" x 9/16"
5/8" x 5/8" x 1/8"
5/8" x 5/8" x 5/8"
3/4" x 1/16" x 1/4"
3/4" x 3/8" x 1/4"
3/8" x 3/4" x 1/4"
3/4" x 1/2" x 1/16"
7/8" x 7/8" x 1/16"
1" x 1/8" x 1/16"
1 1/2" x 1/4" x 1/16"
1 1/2" x 1 1/2" x 1 1/2"
2" x 1/4" x 1/16"
3" x 1/2" x 1/8"
4" x 1/2" x 1/8"
6" x 1/2" x 1/8"